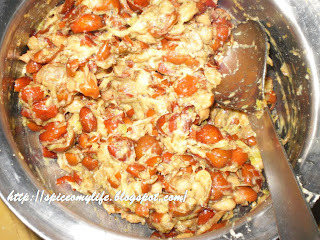 In my last post, I told you that this is the season (winter) for the Jujube fruits also known as Indian Dates. 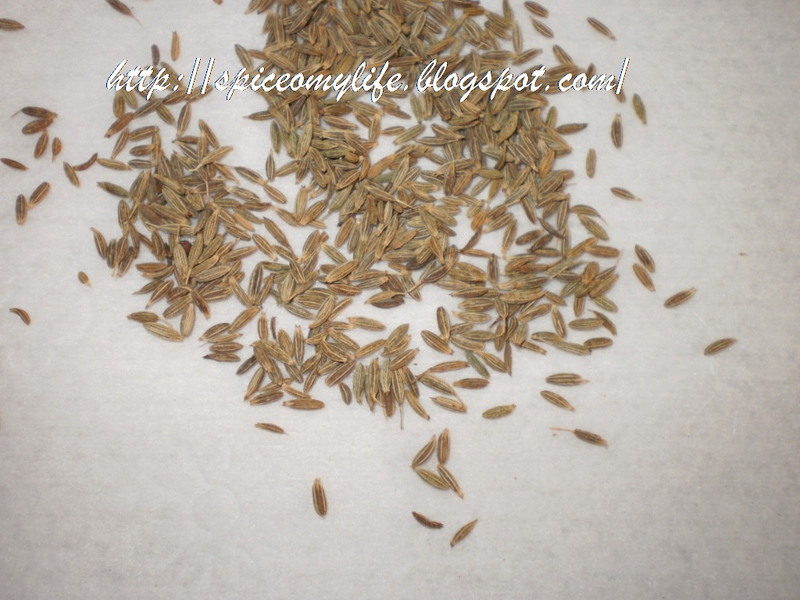 They are rich in Vitamin C and many other minerals. Because they are sour in taste, they also reduce nausea. These are preserved in the form of crispies and pickles, so that we can enjoy them off season too. 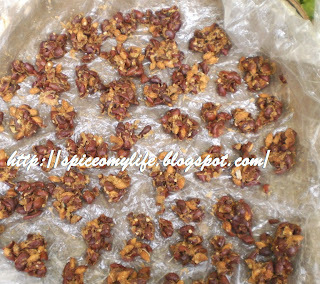 Here is the recipe for crispies. 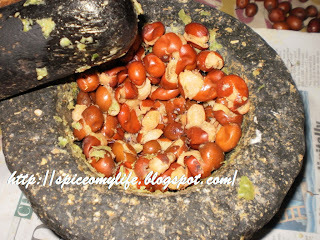 These are known as Regi Vadiyaalu in Telugu or Ber ke Badiya in Hindi. Though the recipe is simple, the process of cleaning and preparing the fruit is a bit tedious. But the end product is really yummy. Put these fruit in a big tub of water, wash very gently but thoroughly by rubbing them between hands. Care should be taken to see that the fruits don't break open. Some of the fruits are very soft and easily break open. Drain them thoroughly and leave them well spread out on a cotton cloth in the shade for 2-3 hrs so that excess water is absorbed or dries away. We use old cotton saris, dhotis or bed sheets for this purpose. Check each of the fruit carefully for these fruits have worms inside. Each fruit scan be pinched open with fingers or use knife and examine for worms. Discard the infested ones. Now grind the cumin seeds to a coarse powder. 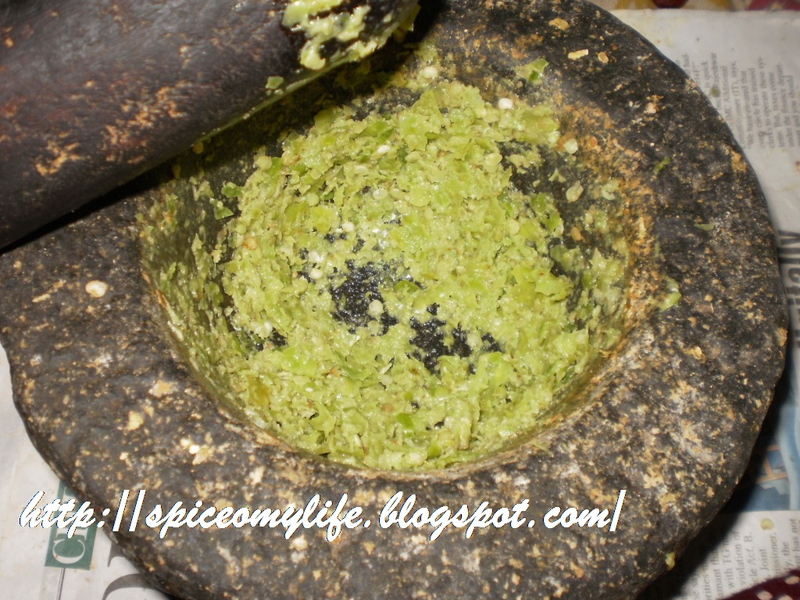 Grind the green chillies or red chillies to a paste. Now comes the tricky part. We have to grind the fruits carefully without breaking the seeds inside. One way is to squeeze the fruits with your fingers/hand to bring out the pulp. This is OK with most of the fruits as they are soft and very easily break open. But some are firm. Such fruits should be separated and use a knife to slice them with out breaking the seed. Some people discard the seeds. But that way most of the flesh is lost as it is attached to these seeds. I use the traditional stone grinder along with a wooden pestle. 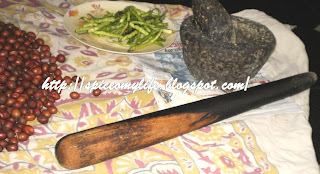 Here it is very easy to grind the fruit with out breaking the seed, by controlling the pressure or force and also angling the strike of the pestle used for pounding. One need not grind much as it is enough if the skins of the fruit separate and the flesh comes out. Now take this fruit into a bowl. add green chilly paste, salt and cumin powder. Mix well. Check and adjust the salt and chilly. Spread a thick polythene sheet or a cotton sheet and make small round patties on to the sheet taking lemon sized portions. Let them dry in the hot sun for a day or two and reverse them and dry them for another day or two until they are completely dry. Store them in air tight container. One or two can be eaten as a snack. Children will love this as this is sweet, sour and hot at the same time. this is good for health and reduces nausea. But one should not eat too many at a time. The quantity of salt depends on how sour the fruits are. So add a little at a time and taste it. Don't add all the quantity at a time. The quantity of green chillies also depends upon the sourness of the fruit. this should also be added a little at a time and then decided. 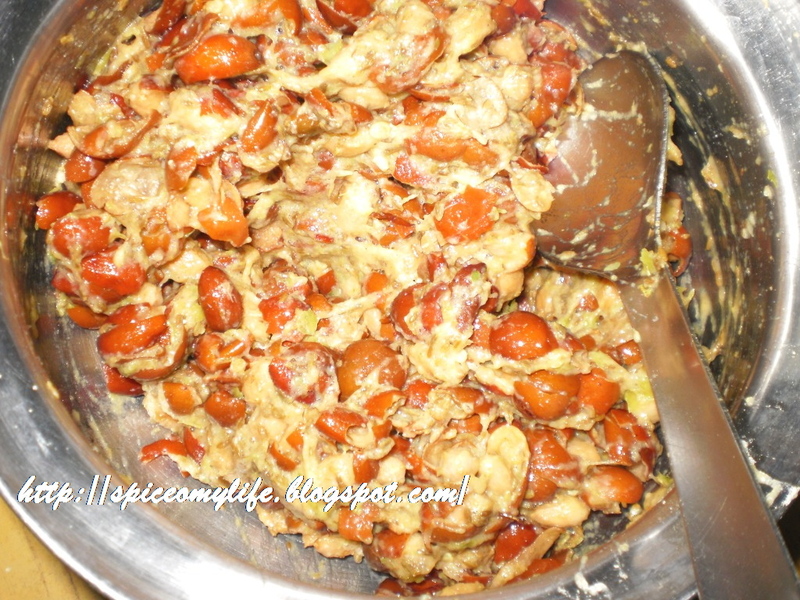 Some add dried red chillies instead of green ones. If that is the case, soak them in enough water and make a paste and adjust the quantity according to your taste.